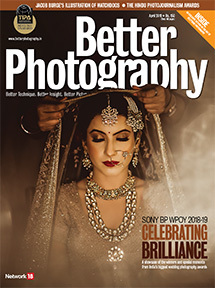 The eighth edition of the Sony Better Photography Wedding Photographer of the Year 2018-19 Awards concluded with a grand ceremony on 19 March 2019 at Hotel Sahara Star, Mumbai. 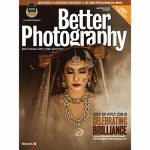 The event was organised by Network18 and presented by Better Photography in association with Sony. The associate partners were Photoquip, Adobe, Lacie, Printing Partner–HP, Imaging Partner–Vitec Imaging Solution, Styling partner–Libas and Gangji Jewels, and Face-off partner–Angriya. Live Streaming Partner – Live U. Special guest, Mr. Boman Irani, who once was a wedding photographer himself, addressed the audience at the beginning of the ceremony, and also announced the grand prize winner alongside Hiroyuki Tokuno-san (Head-Digital Imaging Business, Sony India), Prakash Tilokani (celebrated wedding photographer), Joseph Radhik (celebrity wedding photographer and the Sony Global Ambassador from India), Krishna Madhavan Pillai (Chief Editor, Better Photography), and Amit Seth (Publisher – Better Photography, OVERDRIVE, and Better Interiors). 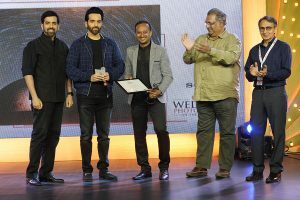 There were also Luv (actor and photographer) and Kush Sinha (photographer and short filmmaker) who presented the Joy of Light award along with Dhaval Soni (Managing Director of Photoquip), and Mr. Madhur Shroff (accomplished commercial photographer). The Grand Prize Winner, Divyam Mehrotra, was awarded the Sony A7R III, along with a lens kit, a Manfrotto Befree GT Carbon Alpha tripod, a Manfrotto Backpack, a Lowepro DSLR Video Fastpack, and a Joby Gorillapod, courtesy of Vitec Imaging. He was also given the Elinchrom D-Lite FX 2 Kit by Photoquip, and a 500GB Rugged Thunderbolt hard drive courtesy of Seagate, along with a B2 size customisable coffee table book from HP. 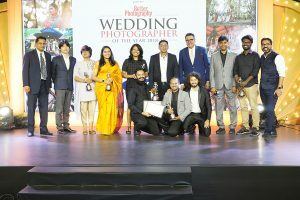 The individual category winners are as follows; Divyam Mehrotra won in the Bride & Groom Portraiture category, while in the Family & Friends category the winner was Rishika Brahma. The award for the Emotions category was bagged by Abhimanyu Sharma, and Prasheila Lookhar won in the Behind the Scenes or Offbeat category. 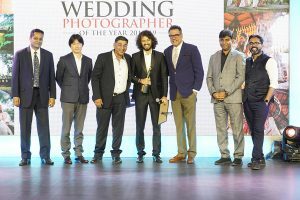 While Harsheen Jammu took home the prize in the Finer Wedding Details or Still Life category, Gautam Agarwal did so in the Joy of Light by Photoquip category. Finally, Pon Prabakaran was awarded in the Photoseries on a Single Wedding category.